Albany, NY - November 4, 2013 - Governor Andrew M. Cuomo today announced that the New York State Department of Motor Vehicles (DMV) has expanded its online services, making it easier for New York motorists to quickly and easily view the current status of their driver license and renew or replace a driver license, permit or non-driver ID online through the DMV website. In addition to the services listed above customers are also able to check the address they have on file, any driving endorsements or restrictions, the number of points on their license, and information about suspensions or revocations and the steps they can take to clear them. The new service is available to those who establish a free MyDMV account on the DMV website and is part of the agency’s Customer Service Initiative. While accessing driver license information and transactions, MyDMV online customers can also sign up to receive email registration renewal and inspection reminders, purchase a copy of their driver record, register to vote and enroll as an organ donor, along with more than 35 additional transactions that can be completed on the DMV website. Customers with a driver license can sign up for their free MyDMV account at the DMV website (www.dmv.ny.gov). Signing up is easy and requires the customer to provide information that is printed on their license document and the last four digits of their Social Security number. Customers also select a username and password when establishing an account that will allow them to conduct additional transactions in the future. 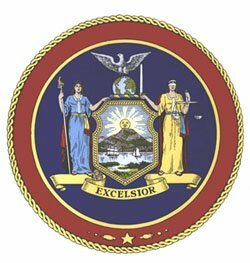 Subject: LongIsland.com - Your Name sent you Article details of "Governor Cuomo Announces Expansion of Online DMV Services to Include Viewing License Status and Ordering Document Renewals and Replacements"